7 Amazing 'Goodfellas' Lines You Forgot About, Because It's More Than Just "Fuggedaboutit!" Growing up, I always thought gangster movies were super serious, like The Godfather trilogy. But that changed when I finally saw Goodfellas in film school — now this was a mafia movie with a sense of humor and some hilarious lines to boot. In honor of the mob flick's 25th anniversary, I have compiled a list of lines you may have forgot came from Goodfellas , because there's more than just "fuggedaboutit" in this underworld. Nicholas Pileggi and Martin Scorsese penned the Oscar-nominated script, which was based on Pileggi's book "Wiseguys." 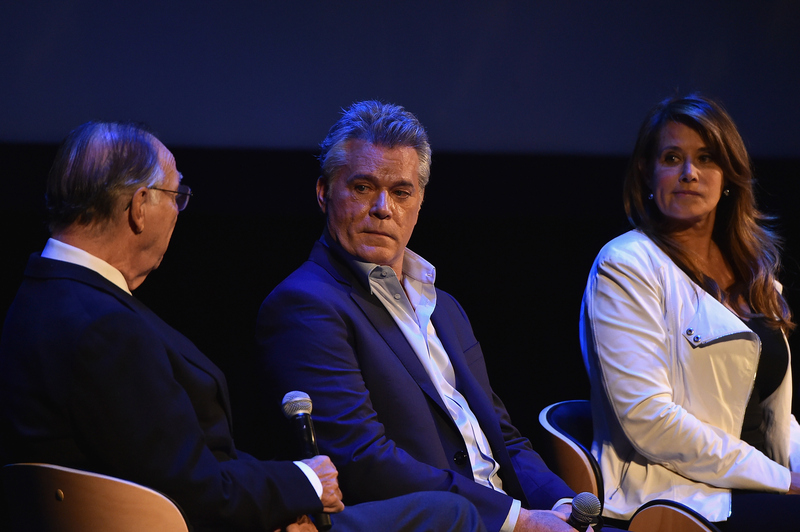 In case you forgot the plot of the movie, here's a quick refresher: Mobster Henry Hill (Ray Liotta) leads the audience through his work with the Lucchese crime family and associates from the 1950s until the 1980s. Joe Pesci won an Oscar for playing Tommy DeVito in the movie and mentioned in a making-of documentary that Scorsese would let the actors improvise during rehearsals and then incorporate the best stuff into the script during a rewrite. "They all think that Marty doesn't do anything, that he lets the actors say 'Okay, go ahead' and enjoys it," Pesci said in the interview. "It's not true. It's crazy to think you can go in there and make a movie like that. It has to be structured." With that said, here's a reminder of Goodfellas' best lines. 1. "As Far Back As I Can Remember, I Always Wanted To Be A Gangster"
To me, being a gangster was better than being President of the United States. Even before I first wandered into the cabstand for an after-school job, I knew I wanted to be a part of them. It was there that I knew that I belonged. To me, it meant being somebody in a neighborhood that was full of nobodies. They weren't like anybody else. I mean, they did whatever they wanted. They double-parked in front of a hydrant and nobody ever gave them a ticket. In the summer when they played cards all night, nobody ever called the cops. 2. "I'm Funny How? Like A Clown? Do I Amuse You?" The inspiration for Pesci's classic scene actually came from a real life experience that he told Liotta about during rehearsal, according to Business Insider. "And Joe was telling me a story about what happened to him in Queens or wherever it was and he said to some guy ... the guy said something who happened to be a connected guy and he said 'Well ... you think I'm funny?'" Liotta said. The rest of the dialogue is above and it's just as good as you remember it. 3. "We Always Called Each Other Goodfellas"
This explanation of the title leads up to the sad moment where Tommy never makes it to being "made." "You know, we always called each other goodfellas," Henry narrates. "Like you said to, uh, somebody, 'You're gonna like this guy. He's all right. He's a good fella. He's one of us.' You understand? We were goodfellas. Wiseguys." 4. "Now Go Home & Get Your F**king Shinebox!" The insult comes from mobster Billy Batts, who insults Tommy's old shoe shine boy days. Of course, the hot-headed Tommy doesn't take well to that. 5. "I Need My Lucky Hat"
Look, Lois just needs her lucky hat; she never flies without it. This kicks off one of the funniest sequences in the movie. 6. "If You're Part Of A Crew, Nobody Ever Tells You That They're Going To Kill You"
One of my personal favorite lines. It continues: "
It doesn't happen that way. There weren't any arguments or curses like in the movies. So your murderers come with smiles. They come as your friends, the people who have cared for you all of your life, and they always seem to come at a time when you're at your weakest and most in need of their help. 7. "I Get To Live The Rest Of My Life Like A Schnook"
Henry Hill's final lines, after being place in "average nobody" life in witness protection.